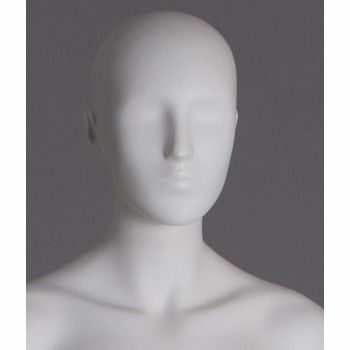 This abstract female mannequin is a mannequin with little drawn facial features. By his mysterious face, woman mannequin will highlight your clothing collections. It adapts to all kinds of windows and trends. 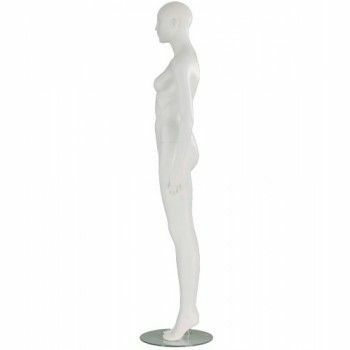 This abstract mannequin can be painted in several finishes: matt, glossy (gloss lacquered), satin and what color you want. In order to regularly change your windows, these women abstract mannequins are ideal. Female mannequin with abstract head fiberglass with a double fastening with a face ronde.Son glass base is original in its erased side. 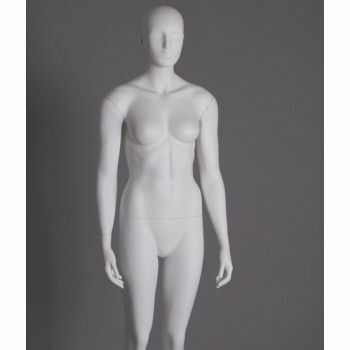 The dimensions of this abstract female mannequin is 182 cm in height, waist circumference of 63 cm, a chest size of 87cm and hips 85cm. Its size is 38 with a heel of 7 cm. 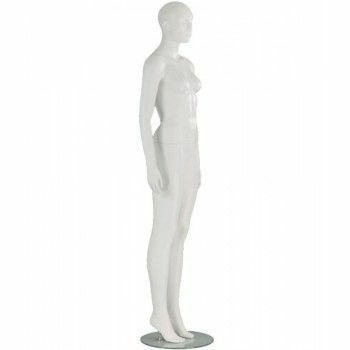 The delivery time of this abstract female mannequin is in immediate shipment.